For an Early Career Researcher like Dr Kate Ariotti of the Centre for the History of Violence and Centre for 21st Century Humanities, the Australian Historical Association Conference is an annual opportunity to be inspired, network with Australia’s leading historians and create connections in the world of Australian historical research. Held this year in Newcastle on July 3 – 7, and convened by Professor Philip Dwyer, Director of the Centre for the History of Violence and member of the Centre for 21st Century Humanities, the conference showcased the depth of research talent at the University of Newcastle. “We had a very strong showing of UoN academics and post-graduate students. A lot of the post-grads are working on local history projects and this conference was an excellent opportunity for them to showcase their research, plus it had the added bonus of bringing in Newcastle residents who might not normally attend an academic conference but who want to hear about the history of their local area,” Dr Ariotti said. Dr Ariotti, a historian focused on the themes of war and captivity, particularly enjoyed the keynote address by Professor Christina Twomey of Monash University who has a similar research focus. “She gave a great paper that weaved together the personal, national and broader global history of Australian connections with Asia in the post World War Two period,” Dr Ariotti said. Professor Dane Kennedy from George Washington University also presented a fascinating keynote address as Dr Julie McIntyre recounts. “Professor Kennedy presented a collective biography, or series of short life stories, of several leaders of postcolonial nation-states of the former British Empire. As elite cosmopolitans educated in Britain these men were connected to intellectual networks in the imperial centre as well as their colonial birthplaces. It was interesting to hear how this experience of fluid identities opened their minds to alternatives to liberal state formation, such as imperial citizenship and communism,” Dr McIntyre said. 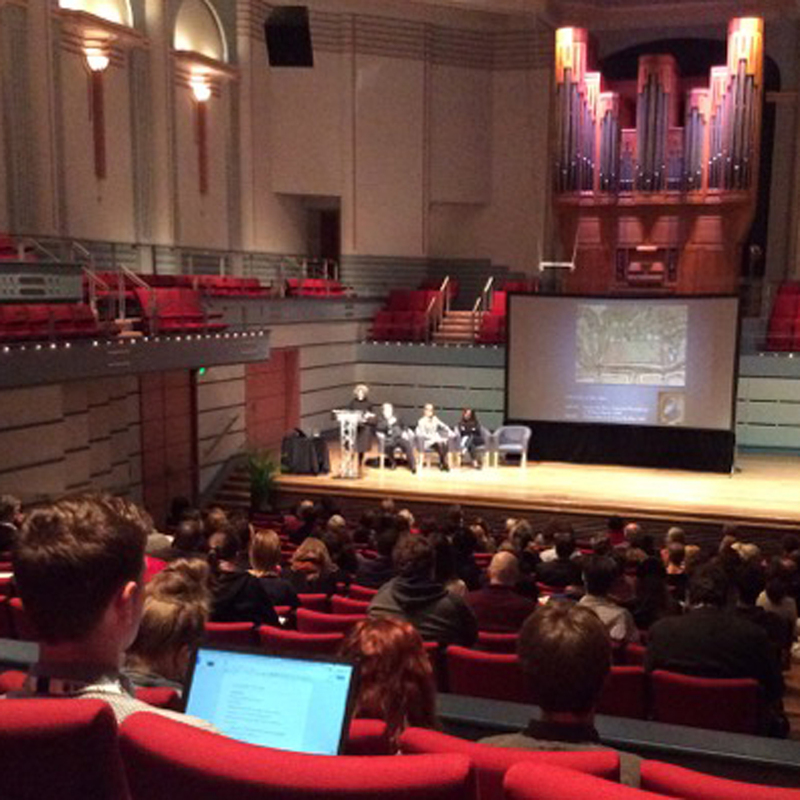 This year’s conference theme was ‘Entangled Histories’ and reflected the increasing move away from narrowly defined ‘national’ histories towards an understanding of history as an interlinked whole where identities and places are the products of mobilities and connections. Dr Ariotti also noted several other themes including Indigenous history, women’s histories and oral history stood out in the 4-day conference. A digital history workshop led by international scholar Associate Professor Michelle Moravec from Rosemont College in Philadelphia was popular. Centre for 21st Century Humanities Digital Humanities Specialist Dr Bill Pascoe attended the workshop and said it was was engaging and practical. “It showed how even the most simple to learn Digital Humanities tools such as concordance can be used not just to answer metrical questions about large collections, but also in an interactive, exploratory way. Tools like these enable you to work with large volumes of text that you could not possibly read, as well as drilling down to scrutinise individual texts of interest, to discover new information and form new ideas,” Dr Pascoe said. The conference also featured some unique social events designed to not only familiarise visitors to the city, but give them some insights into the history of Newcastle as well. “Australian wine historian, Dr Julie McIntyre, and I organised a walking tour of Newcastle featuring local wine and craft beer watering holes while also exploring the history of specific locations within Newcastle. For example we walked past the KFC site in Hunter Street and discussed how it had been built over a significant Indigenous heritage site. We wanted to show a different side of the city to the conference visitors, one they wouldn’t necessarily hear about during the conference itself,” Dr Ariotti commented.